Varun Dhawan was last seen in the superhit ‘Dishoom’. Mumbai: Varun Dhawan is on a roll of late. He’s been belting out one hit after another. He has been impressing the critics and the masses alike and has promising projects lined up. In short, he has everything going for him. The actor who was last seen in brother Rohit Dhawan’s ‘Dishoom’, has been touring with Alia Bhatt, Sidharth Malhotra, Karan Johar, Parineeti Chopra and others in the U.S. on the ‘Dream Team’ tour. The actor, who has an image of being a people’s man, interacted with his fans in Chicago, after the Team’s tour there. 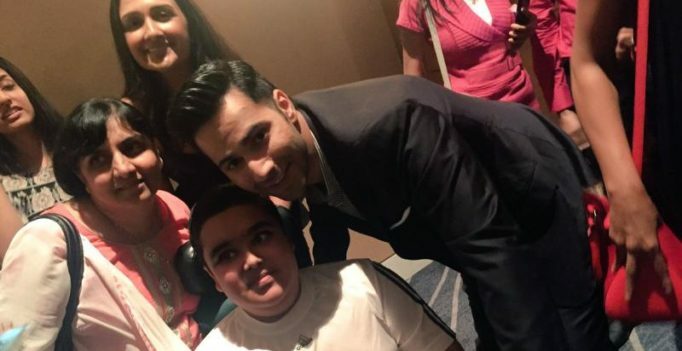 The actor also spent some quality time with a specially abled fan of his. 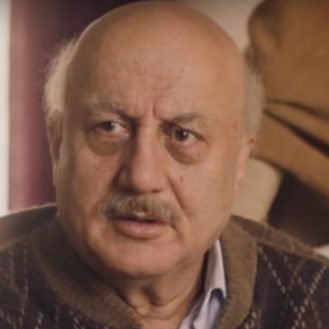 More power to this young actor, who sets aside all potential starry airs in a time when other Bollywood stars find it difficult to part with their arrogance.